Load sales people generally dont sell very well. Focus on the customers requirements not yours! James Schramko, welcome to this week’s business news. I’m going to give you some cool tips. Some of them have come from our SilverCircle Mastermind group. 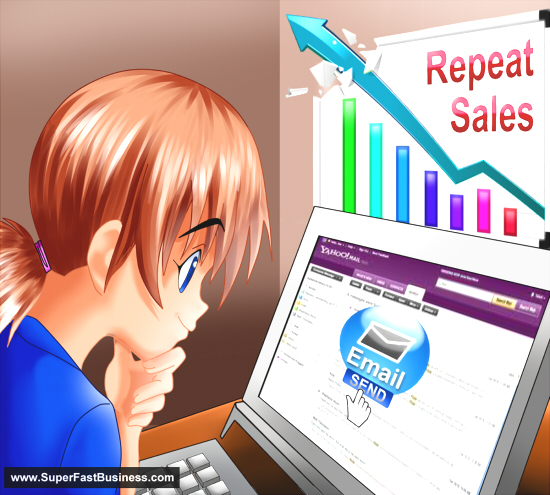 Now, one of the best things for the group this week was the discussion relating to email. What I suggest you do is when someone leaves a product of yours, send them an exit email. Ask them for feedback – why did they leave? Check that they have links to support in case it was an accidental disconnections, say PayPal got disrupted or they felt that there was something broken but you didn’t actually get a chance to fix it so send an exit email. If you’re using a shopping cart like Nanacast, what you can do is you can actually put a notification upon unsubscription. So anything that is recurring, I recommend you do this. Here’s the next technique – ask people to hit reply. Don’t make it hard for them to contact you. Don’t send them off to a support desk or whatever. If possible, ask them just to hit reply. They’ll send it straight to your inbox which you can then forward to your team if you want, but I prefer to answer emails personally and I’m finding people are really interacting with me. The other one that works really well, which most of us can put straight into our system right now, is a follow up after purchase. Simply a week later say, “Hey Fred! Last week, you purchased such and such. Just wanted to follow up to find out how is it going. Do you need any help? Are you happy with the progress so far? Please hit reply and let me know.” Now from that, I’m just getting tremendous feedback. You get to find out where expectations are versus what they thought it would be. You can pass on any feedback to the team. You can catch out problems early if you have any. And if you get positive feedback, at least your customers know that you do care and you’re right there being personable. Again, the biggest tip is putting a “hit reply to this email” notification rather than using support desk for that type of inquiry. Add this to your email sequence, you should be absolutely laughing. Here’s another one. If you have a team, make sure you connect up with your team. Talk to them. Get them on Skype, if they are remote workers. Consider going and visiting the team. I go and visit my team often, and I’m sure that is the key to the success of our business – it’s having that personal relationship. It’s really understanding people for who they are, their special skills, their special strengths, and getting direct feedback face-to-face is the ultimate way to build your team. So if you are doing it remotely, consider getting face-to-face at some point, perhaps when your team reaches say 5 people or more. It’s worth the investment. Some countries, especially in Australia, you will get some support under the export development marketing grant in Australia if you apply for it and you meet certain criteria. In other countries, it might be worth checking out your entitlements too, so if you do have to travel overseas and it contributes to foreign income, then that might be a viable option for you. My next tip is about sales. If you’re selling, the best way to sell is to be systemized. We think that it’s the wingman, the wawa, but it’s not. The expressive person, the person who is always loud and talks at the party is probably the worst sales person because they think it’s all about them. But it’s not about them, it’s about the customer. So if you have an analytical spreadsheet or checklist that you go step 1, step 2, step 3 and you surround that with a nice manner and investigative questions, and you really have a value-based problem solving focus then you’ll actually sell more because you’re not skipping the vital steps. When I was selling cars back when I had a job, we had a six-point checklist and we had to ask the six questions every single time we sat down in front of someone and that was really good to know upfront who is the decision maker. What things are most important to you in this purchase? When do you need this by? What other factors do we need to know about at this early stage? These sort of questions can really help you frame a sales process and dramatically increase your sales results. Hope you’ve enjoyed these tips from SilverCircle this week. If you are a member, please login and join in on the discussions. If you’re not a member of SilverCircle, we are opening in about two weeks so be sure to register at Silvercircle.com. And if you qualify, your business is about to at least double in the next three to six months from when you register, because that’s pretty much what happens to my SilverCircle members.